Yum Yum Cha: The restaurant located on the second floor of the shopping center attracted us with its colourful decor. The interiors had a different feel from the normal fine dining restaurants and that’s what I liked. You can savour the delectable and finest dimsums & sushi here, which are light, flavourful, nutritious & healthy making you crave for more. 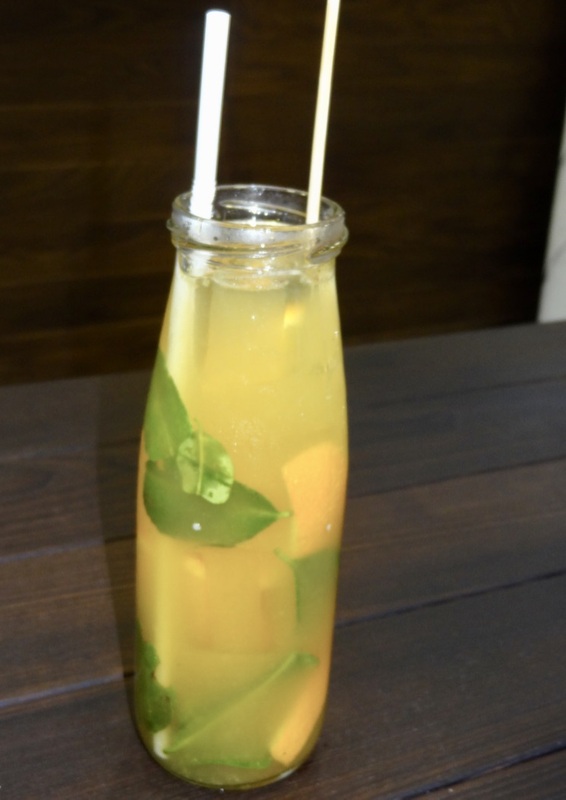 We started with Thai Orange & Kaffir Lime from the Fun Bottles section which was very refreshing with fresh orange slices, dose of kaffir lime leaves and ice, leaving a refreshing flavour in the mouth. 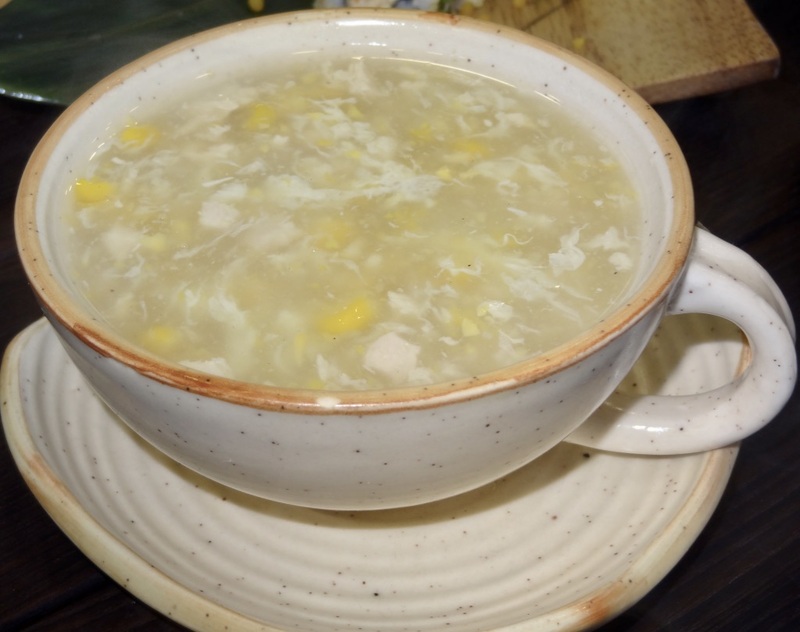 Coming to food, we opted for Fresh Corn Chicken Soup. It was fresh and healthy with just the right kind of flavours. You really wouldn’t want to miss it. Moving on to sushi at Yum Yum Cha- we tried a variety- Southern California which had vegetarian crab, avocado, micro greens, ginger & chilli made with soyabean. The mild flavours blended with a South Californian touch were absolutely amazing. 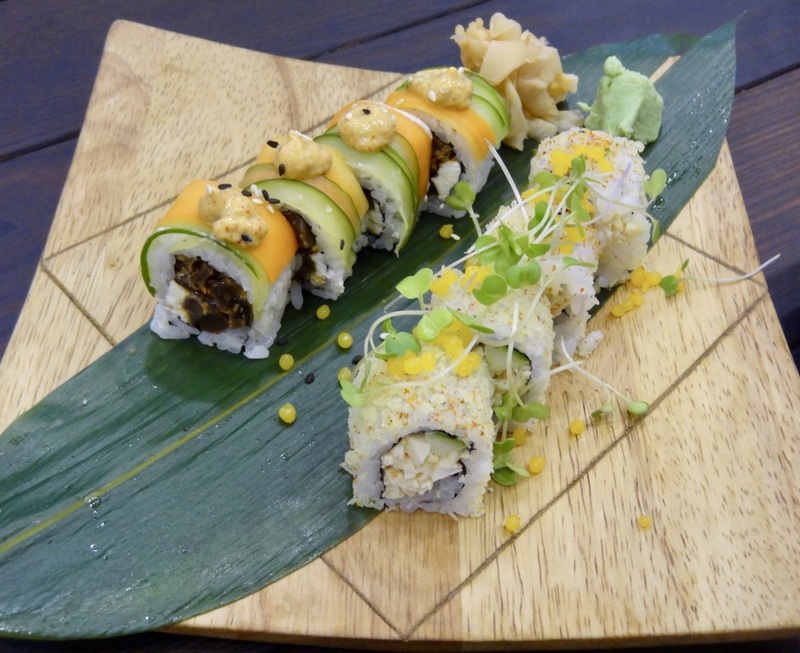 The Spicy Salmon Sushi consisted of salmon, spicy mayo & tempura flakes. Classic at it’s best! The Veg Rainbow had cream cheese with spicy vegetables and can be a great choice for vegetarian people. 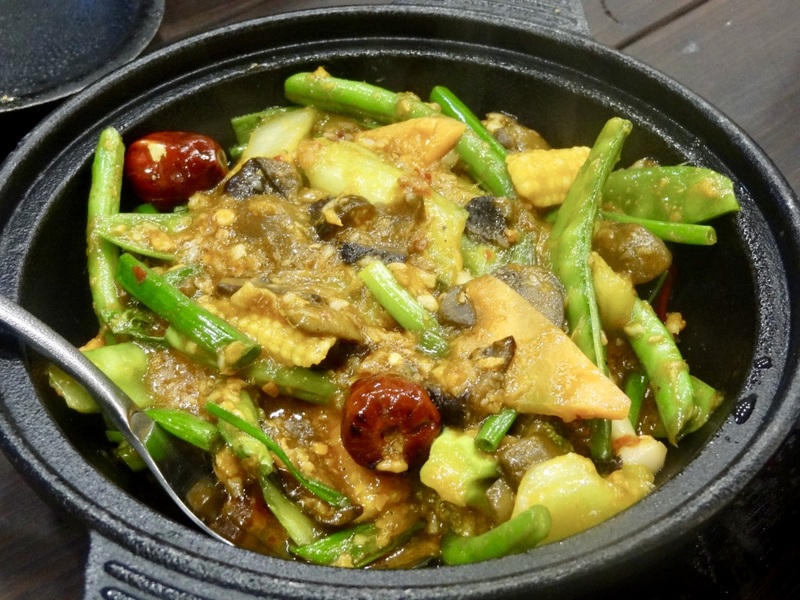 For the main course, we tried Sichaun Style Spicy Vegetables Stir Fry– a mix of snowpeas, beans, mushrooms, carrots, broccoli, lantern chilli and baby corn marinated in Sichuan Thai style basil chicken. It was delicious. 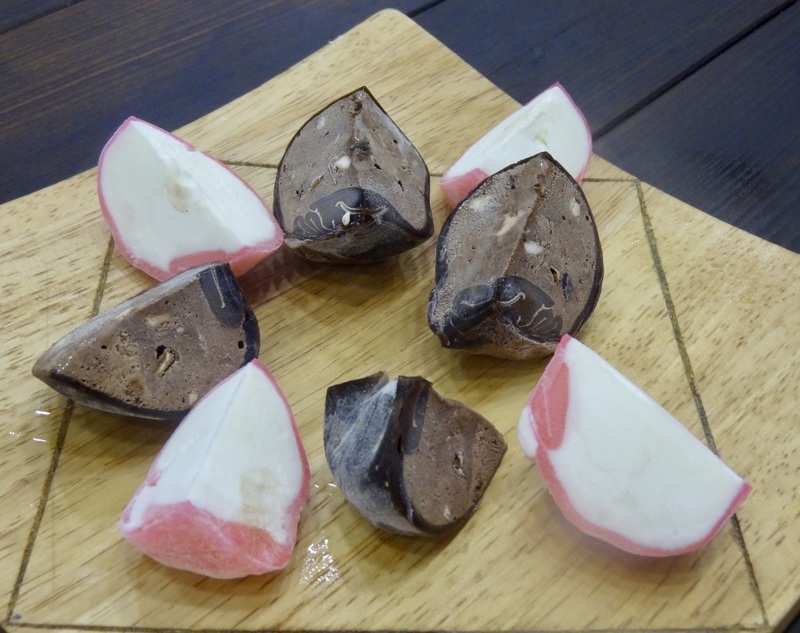 In the desserts section, we were thrilled at the variety and decided to try Mochi ice-cream- desserts wrapped in soft thin mochi shells (basically a traditional Japanese preparation made from steamed & pounded sticky rice and sugar). They are available in an array of colours &flavours like mango, blueberry, green tea, vanilla, cappuccino and many more. 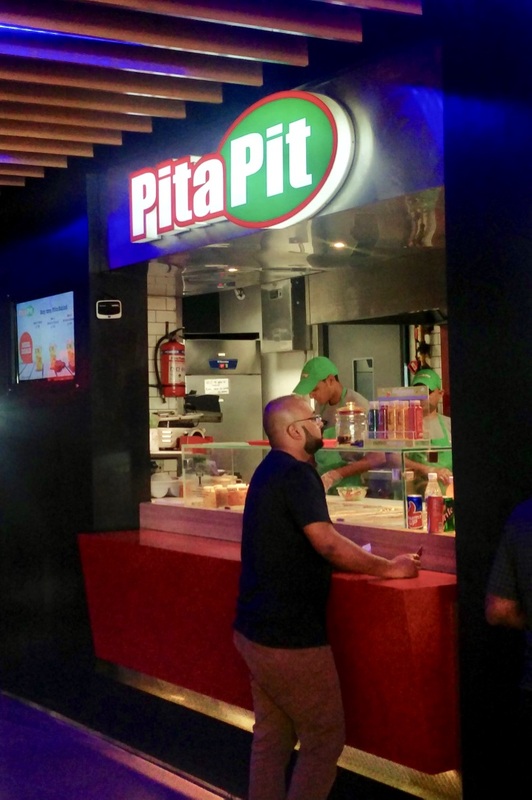 Pita Pit: The made to order grill concept right in front of your eyes is what attracted me. 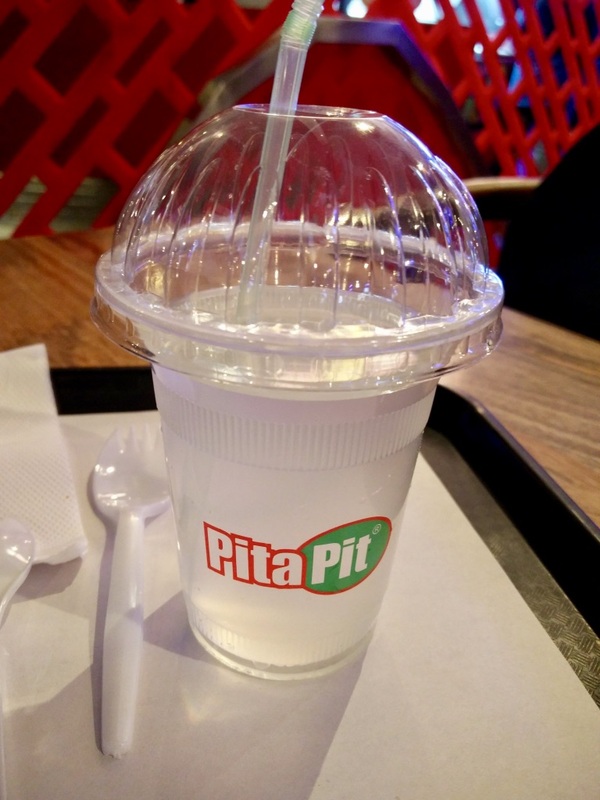 One can be sure of health, hygiene as well as taste because you can customize the pitas according to your requirement. 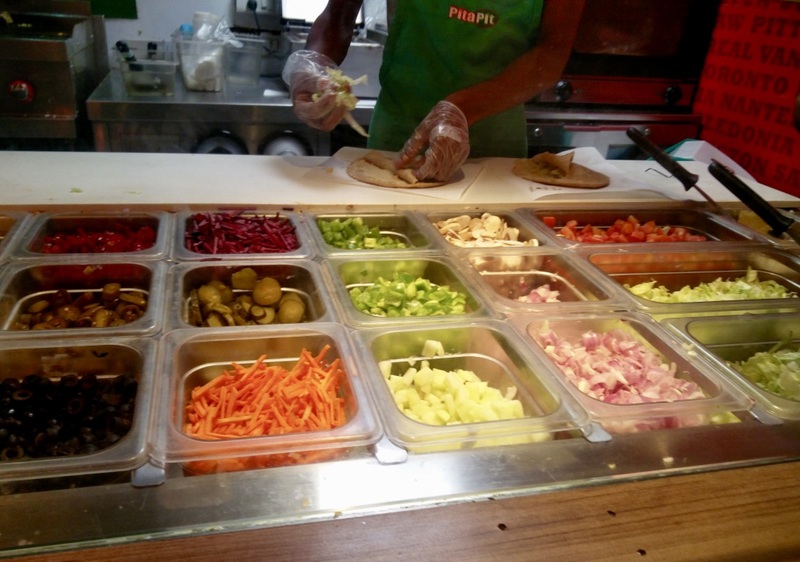 You customize not only the main ingredient but even the veggies, sauces and the spread. 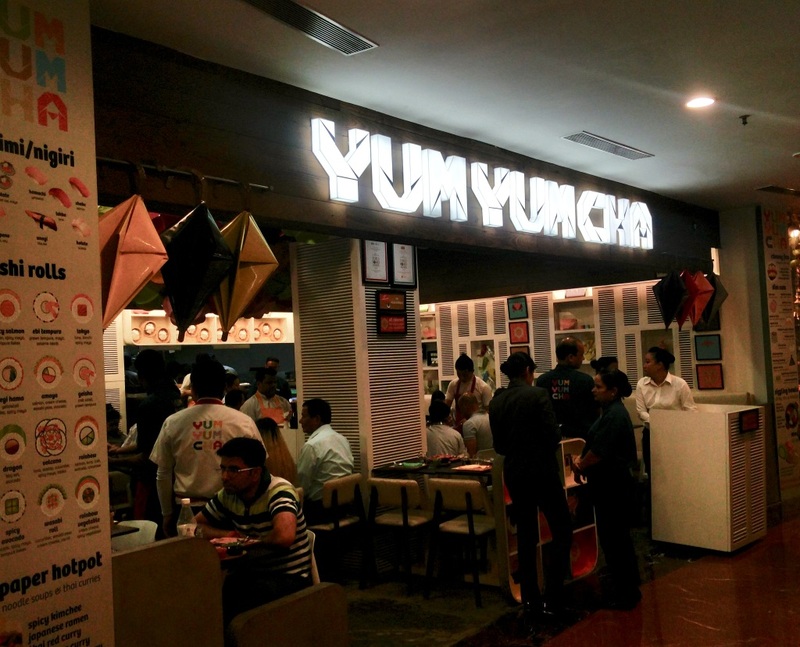 Located at the Food Court of Select CITYWALK, this place is a foodie’s dream come true. 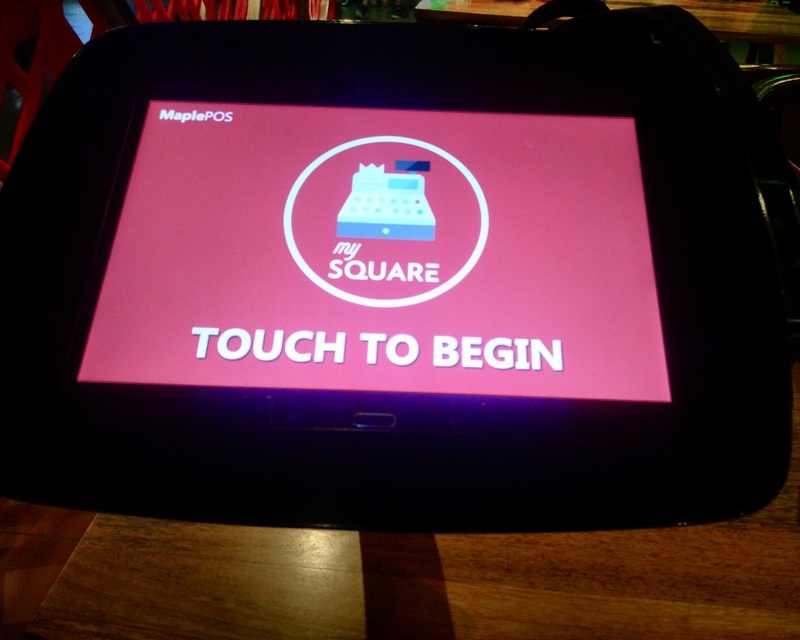 The highlight of My Square are the small touchscreen monitors installed on every table from where you can make a choice sitting on your table of the food court! 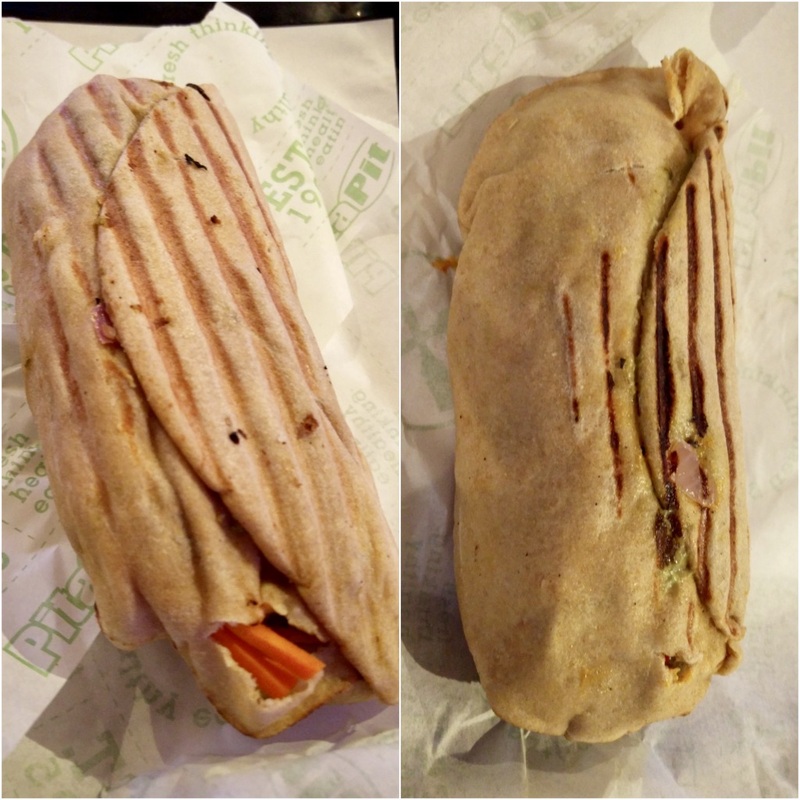 I went and placed my order for a veg pita and a non-veg one making sure that I don’t be partial to one. I asked the server on his recommendation and he suggested Falafel in veg and Grilled Chicken in non-veg. I customized my order and witnessed the creation of my own food. Pita bread was layered with hummus and filled with iceberg lettuce, tomatoes, onion and capsicum which was then cooked and customized. We actually got all the veggies except Mushroom – Cucumber, Carrot, Gherkins, Olives, Jalapeños and Corn along with a sprinkle of Chopped cheese and then salt, pepper and oregano. 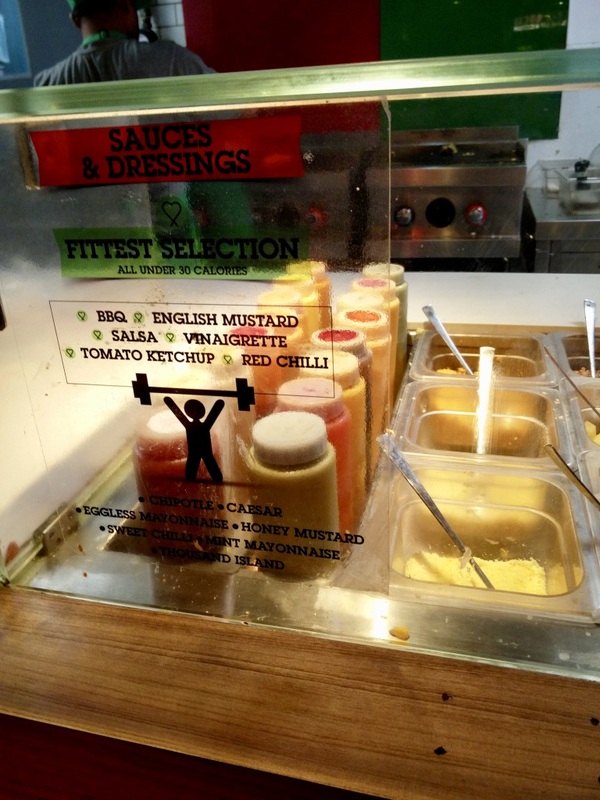 In the sauces section, we chose Chipotle, Mint Mayonnaise and Thousand Island. 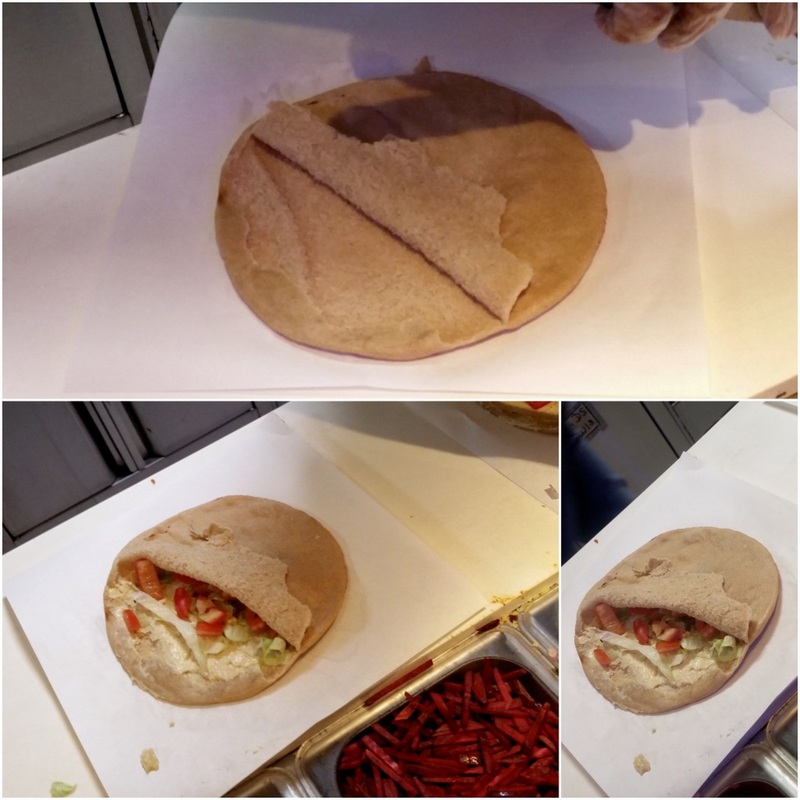 The pita was then rolled and put in the griller. 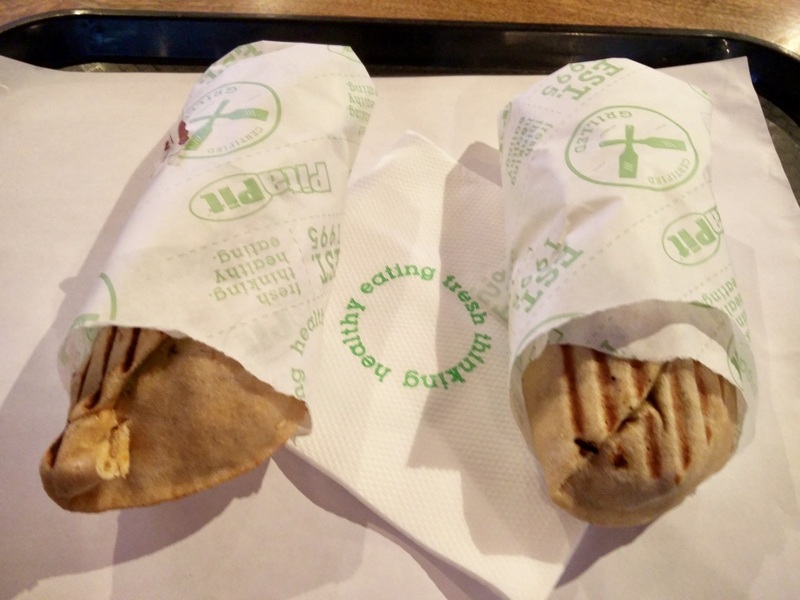 The freshness of falafel, chicken and veggies wrapped in the pita was simply delectable. I also ordered a lemonade and brownie. 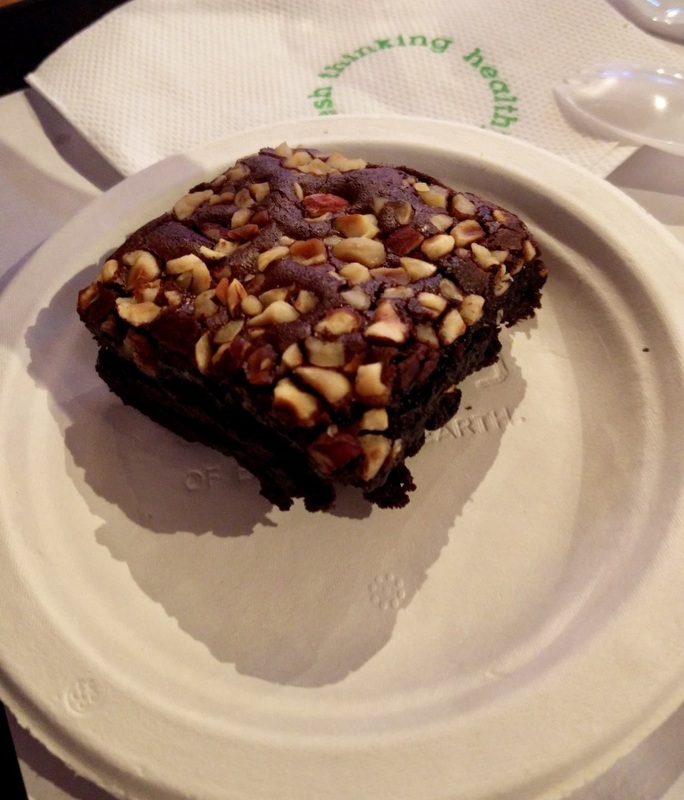 The Lemonade had the perfect lemony tang and Brownie was soft and moist with nuts on top giving a great flavour. As a food lover … I know what is food for us. Thanks for sharing and i will sure try it.